When Christian Michel reached the shores of Dubai, he expected that he would never be brought to justice in India. Michel perhaps did not know that Indian law enforcement agencies had an impressive history of getting fugitives from overseas in cases like the 1993 Mumbai blasts (e.g., Abu Salem from Portugal, Aftab Ansari, Ravinder Rastogi, Iqbal Kaskar, Farooq Takla from Dubai; Bablu Srivastava from Singapore). Extradition proceedings are not only reflective of legal cooperation between two countries but also how strong their diplomatic bonds are, and how well the law enforcement agencies are connected with each other. It must be borne in mind that extradition is not an automatic process in which fugitives seeking refuge in a foreign land—which they think is safe—get arrested and are sent back. Extradition is a tedious legal procedure in which the home country—where the crime was committed and is seeking extradition—has to prove in a court of law that the evidence against the fugitive is adequate for him to be sent back. The legal proceedings for extradition are preceded by the law enforcement agencies cooperating by which a warrant of arrest is sent from one country to another that leads to a fugitive's arrest. Obviously, the process for such an arrest is dependent on mutual diplomatic relations as well. There was a time when getting any criminal extradited from the UAE was next to impossible. In the 1970s, Dubai was primarily a fishing village, which acted as a transit point for gold and silver smuggling. The powers that be in Dubai were seen as close to the Mumbai underworld at that time. Most of the fugitives from India, like Dawood Ibrahim, preferred Dubai as a safe haven as they had local support. However, with the help of conscientious diplomats—like K.C. Singh—who built strong goodwill with the UAE government, it became possible to get criminals like Aftab Ansari, wanted in the attack on the American Centre in Kolkata in 2002 and various cases of abduction and extortion in the past, summarily deported to India alongside another wanted criminal Raju Sharma. This was the beginning of a new era of cooperation between UAE and India wherein many deportations took place to and fro. However, the case of Christian Michel is unique in many ways. 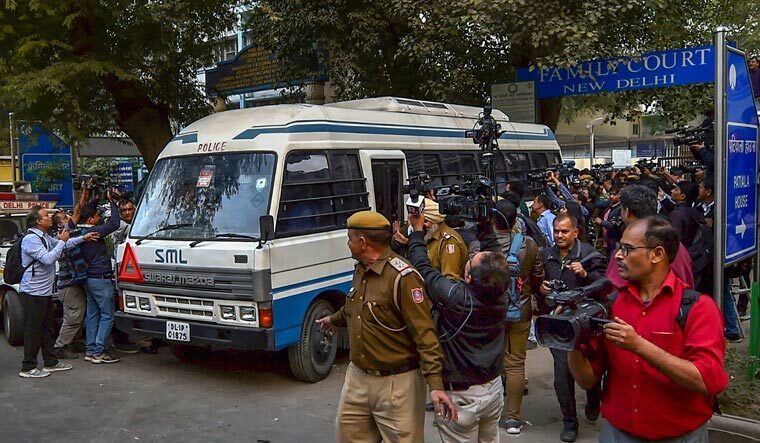 It is an extradition of a white collar criminal who earned a handsome amount of money for allegedly acting as a middleman between the sellers of AgustaWestland helicopters and the Indian government. His case comes typically in the category of corruption and white collar crime. It is not that economic offenders have not been extradited by the UAE in the past. The case of Ravindra Rastogi, wanted by the Economic Offences Wing of the CBI, is a case in point. Rastogi was extradited by the UAE in 2003. But the Christian Michel extradition is unique as he is a citizen of the UK, and it is not often that a fugitive belonging to a third country is returned to the country where he has committed a crime so easily. It is also surprising how the UK government has not stepped in to take charge of Michel, and get him first returned to England. Be that as it may, Michel's extradition is a feather in the cap of Indian law enforcement agencies (in this case, the CBI) and the ministry of external affairs. A word of praise is also due to the law officers who presented the case for the extradition of Michel in the Dubai court.